Used Cars For Sale On eBay! eBAY MOTORS. eBay is The World's Online Marketplace®, enabling trade on a local, national and international basis. There are thousands of used cars for sale on eBay every single day. In fact, eBay Motors is the most profitable sales division on eBay and naturally there are many entrepreneurs who are interested in jumping into this market. For instance, eBay claims it sells an SUV every nine seconds and is the biggest online car dealer in America, exceeding the traditional car companies. In fact, there are 15 million cars sold over the Internet each year – and growing. The recent rapid growth of the consignment business model has made the used car market even more enticing. Many sellers are able to sell cars they have never even seen and with no more risk than the cost of the auction listing. Some negotiators even persuade the car owner to pay for the ad,thereby risking no more than their time. An escrow service acts as a neutral third party. In an exchange of merchandise, the buyer sends his money to Escrow.com and the seller ships the product to the buyer. The buyer usually has two days to inspect his purchase, and if he is happy, he notifies the Escrow company who releases the money to the seller, minus its fee. If the buyer is dissatisfied, he returns the undamaged merchandise to the seller, and after the seller receives his merchandise back(in satisfactory condition), the escrow company returns the buyer's money. Thus both sides in the transaction are protected. The buyer almost always pays the fees for this, although sometimes buyer and seller split the cost.Escrow.com has created its "Vehicle Services Division" specifically for dealing with the used cars, trucks, SUVs and almost anything else with wheels and a motor. The buyer can have a 160 point inspection performed before agreeing to the purchase. This is an inexpensive service and certainly will save the buyer any headaches. Once both parties have agreed, the title transfer process begins and Escrow.com will guarantee this too, for a fee of$95. Title transfers are handled by Centerpoint Diversified Services which works in all 50 states. The fee, naturally, doesn't include any transfer costs - it is only insurance that the title will be expedited to the satisfaction of both parties. Escrow.com also offers a service that will ship cars for a cheap price almost anywhere in the world and will gather an auto history report to inform sellers if their new chariot has been salvaged or stolen, suffered flood or hail damage, been in a fire or accident, has had an odometer rollback or has been used as a police car, a rental or a taxi. 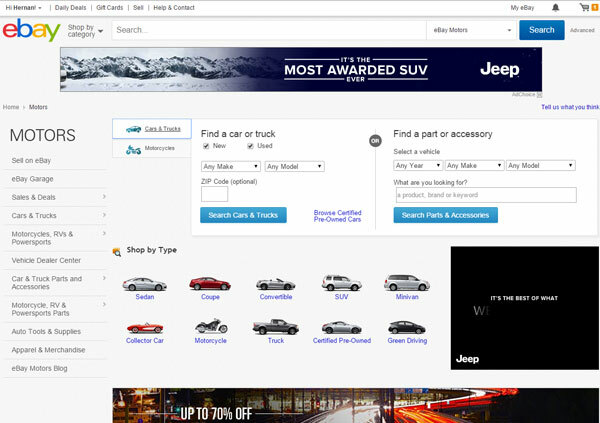 Anyone considering offering used cars for sale on eBay would be well advised to thoroughly learn the services available through Escrow.com and offer those to prospective buyers. The trust factor will skyrocket and your chances of completing sales will dramatically increase.